What is P-glycoprotein (ABCB1 transporter)? The blood-brain barrier (BBB) is a highly evolved structure that protects the brain from the entry of potentially harmful substances. Substances that enter the brain need to pass through a layer of endothelial cells. On the luminal side (towards the blood) of this endothelial cell barrier, in the cell membrane is a protein called P-glycoprotein. Its substrates are many chemicals that are foreign to the body, including many psychotropic medications. This transporter very actively pumps its substrates back out into the blood before they can even enter the brain. Here’s an analogy–it is like feeding a toddler who spits out what he doesn’t like! P-glycoprotein has a broad capacity to pump out many hundreds of molecules (de Klerk et al., 2013). 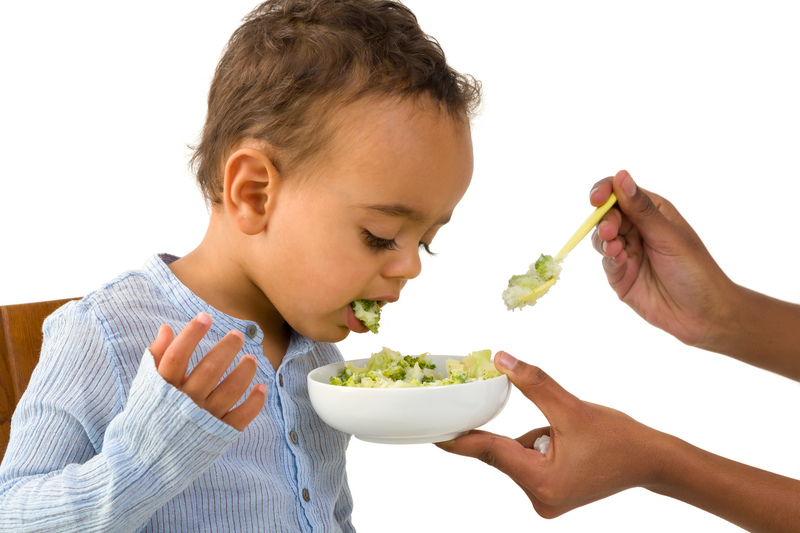 The brain is a picky eater–because it has to be protected against potentially harmful substances. While the blood-brain barrier is an extremely important protective mechanism for the brain, it is also a barrier for many medications to enter the brain. Both the efficacy and side effects of antidepressants depend on brain concentrations of the drug, not simply serum concentrations. Several antidepressants are actively transported out of the brain by transporters at the blood-brain barrier including, of relevance to several antidepressants and anticonvulsants, the P-glycoprotein transporter (ABCB1). The P-glycoprotein transporter is also present in tissues other than the brain, e.g., liver, kidney, intestine, but its concentration is highest in the blood-brain barrier (Hartz and Bauer, 2011). Which antidepressants are or are not substrates of P-glycoprotein? SSRIs: Citalopram, escitalopram, fluvoxamine, paroxetine, sertraline. The only SSRI that is a substrate of P-glycoprotein to a lesser extent is fluoxetine. The gene that codes for P-glycoprotein is called ABCB1 (formerly called MDR1). ABC is an abbreviation for ATP Binding Cassette, which is a family of transporter molecules that use ATP to actively transport their substrates (Breitenstein et al., 2016). ABCB1 is a large gene and has many polymorphisms associated with it. The rs10245483 which is near the ABCB1 gene has been shown to be related to side effects of antidepressants (Schatzberg et al., 2015). The most common (“common” or “major”) allele in this polymorphism is G and the less frequent (“minor”) allele is T.
Those who are homozygous for the T allele (T/T), have greater expression of P-glycoprotein, which presumably reduces brain levels of the medications that are substrates of P-glycoprotein (escitalopram, sertraline, venlafaxine). Minor allele homozygotes (i.e., T/T) had a lower probability of remission (24% versus 45%) and a higher score on the frequency/intensity/burden of side effects (about a one point difference in the mean score on the FIBSER) with escitalopram than common allele homozygotes (i.e., G/G) (Schatzberg et al., 2015). Minor allele homozygotes (i.e., T/T) also had a lower probability of remission (18% versus 45%) with sertraline than common allele homozygotes (i.e., G/G) (Schatzberg et al., 2015). On the other hand, those who had the T/T genotype had a higher probability of remission (38% versus 22%) and a lower score on the frequency/intensity/burden of side effects (about a one point difference in the mean score) with escitalopram than common allele homozygotes (i.e., G/G) (Schatzberg et al., 2015). The reasons for these different effects on escitalopram/ sertraline versus on venlafaxine are not clear. Carriers of the rs1045642 T/T polymorphism have been found to need a lower dose of escitalopram to reach remission (mean 11 mg/day) compared to those with T/C (mean 24 mg/day) or C/C (mean 19 mg/day) genotypes (Singh et al., 2012). This polymorphism is associated with a change in the structure (“conformational folding”) of the P-glycoprotein transporter and, therefore, its efficiency as a pump. With this ABCB1 polymorphism, the minor allele (C) is associated a shorter time to remission with antidepressants that are substrates for P-glycoprotein (Uhr et al., 2008; Sarginson et al., 2010). On the other hand, the minor or C allele was found to be associated with a greater number of side effects with SSRIs (odds ratio 2.4; de Klerk et al., 2013). In particular, insomnia was much more likely in those with the rs222583C polymorphism (odds ratio 2.9; de Klerk et al., 2013). Minor allele carriers of this polymorphism who also had high plasma drug levels reported more sleep-related side effects than major allele homozygotes with high plasma drug levels (Breitenstein et al., 2016). In a large study, the A-allele of this polymorphism was associated with a lower number of side effects from antidepressants that are P-glycoprotein substrates but not in other antidepressants (Bet et al., 2016). Those carrying the minor allele of this polymorphism have been found to have significantly higher remission rates when treated with antidepressants that are substrates of P-glycoprotein compared to non-carriers of the minor allele (Uhr et al., 2008). This polymorphism was associated with a greater number of side effects with SSRIs (odds ratio 2.3; de Klerk et al., 2013). In particular, insomnia was much more likely in those with the rs2235040A polymorphism (odds ratio 3.0; de Klerk et al., 2013). Breitenstein B, Brückl TM, Ising M, Müller-Myhsok B, Holsboer F, Czamara D. ABCB1 gene variants and antidepressant treatment outcome: A meta-analysis. Am J Med Genet B Neuropsychiatr Genet. 2015 Jun;168B(4):274-83. PubMed PMID: 25847751. Hartz AM, Bauer B. ABC transporters in the CNS – an inventory. Curr Pharm Biotechnol. 2011 Apr;12(4):656-73. Review. PubMed PMID: 21118088. Bet PM, Verbeek EC, Milaneschi Y, Straver DB, Uithuisje T, Bevova MR, Hugtenburg JG, Heutink P, Penninx BW, Hoogendijk WJ. A common polymorphism in the ABCB1 gene is associated with side effects of PGP-dependent antidepressants in a large naturalistic Dutch cohort. Pharmacogenomics J. 2016 Apr;16(2):202-8. PubMed PMID: 25987242. Breitenstein B, Scheuer S, Brückl TM, Meyer J, Ising M, Uhr M, Holsboer F. Association of ABCB1 gene variants, plasma antidepressant concentration, and treatment response: Results from a randomized clinical study. J Psychiatr Res. 2016 Feb;73:86-95. PubMed PMID: 26704739. Bundgaard C, Eneberg E, Sánchez C. P-glycoprotein differentially affects escitalopram, levomilnacipran, vilazodone and vortioxetine transport at the mouse blood-brain barrier in vivo. Neuropharmacology. 2016 Apr;103:104-11. PubMed PMID: 26700248.
de Klerk OL, Nolte IM, Bet PM, Bosker FJ, Snieder H, den Boer JA, Bruggeman R, Hoogendijk WJ, Penninx BW. ABCB1 gene variants influence tolerance to selective serotonin reuptake inhibitors in a large sample of Dutch cases with major depressive disorder. Pharmacogenomics J. 2013 Aug;13(4):349-53. PubMed PMID: 22641028. Ray A, Tennakoon L, Keller J, Sarginson JE, Ryan HS, Murphy GM, Lazzeroni LC, Trivedi MH, Kocsis JH, DeBattista C, Schatzberg AF. ABCB1 (MDR1) predicts remission on P-gp substrates in chronic depression. Pharmacogenomics J. 2015 Aug;15(4):332-9. PubMed PMID: 25487678. Schatzberg AF, DeBattista C, Lazzeroni LC, Etkin A, Murphy GM Jr, Williams LM. ABCB1 Genetic Effects on Antidepressant Outcomes: A Report From the iSPOT-D Trial. Am J Psychiatry. 2015 Aug 1;172(8):751-9. PubMed PMID: 25815420. Singh AB, Bousman CA, Ng CH, Byron K, Berk M. ABCB1 polymorphism predicts escitalopram dose needed for remission in major depression. Transl Psychiatry. 2012 Nov 27;2:e198. PubMed PMID: 23188198; PubMed Central PMCID: PMC3565756. Uhr M, Tontsch A, Namendorf C, Ripke S, Lucae S, Ising M, Dose T, Ebinger M, Rosenhagen M, Kohli M, Kloiber S, Salyakina D, Bettecken T, Specht M, Pütz B, Binder EB, Müller-Myhsok B, Holsboer F. Polymorphisms in the drug transporter gene ABCB1 predict antidepressant treatment response in depression. Neuron. 2008 Jan 24;57(2):203-9. PubMed PMID: 18215618. Wang P, Yin T, Ma HY, Liu DQ, Sheng YH, Wang C, Zhou BT. Effects of CYP3A4/5 and ABCB1 genetic polymorphisms on carbamazepine metabolism and transport in Chinese patients with epilepsy treated with carbamazepine in monotherapy and bitherapy. Epilepsy Res. 2015 Nov;117:52-7. PubMed PMID: 26421491. Xie WW, Zhang L, Wu RR, Yu Y, Zhao JP, Li LH. Case-control association study of ABCB1 gene and major depressive disorder in a local Chinese Han population. Neuropsychiatr Dis Treat. 2015 Aug 4;11:1967-71. PubMed PMID: 26347319; PubMed Central PMCID: PMC4531014. Zahari Z, Lee CS, Ibrahim MA, Musa N, Mohd Yasin MA, Lee YY, Tan SC, Mohamad N, Ismail R. Relationship between ABCB1 polymorphisms and serum methadone concentration in patients undergoing methadone maintenance therapy (MMT). Am J Drug Alcohol Abuse. 2016 Sep;42(5):587-596. PubMed PMID: 27284701.